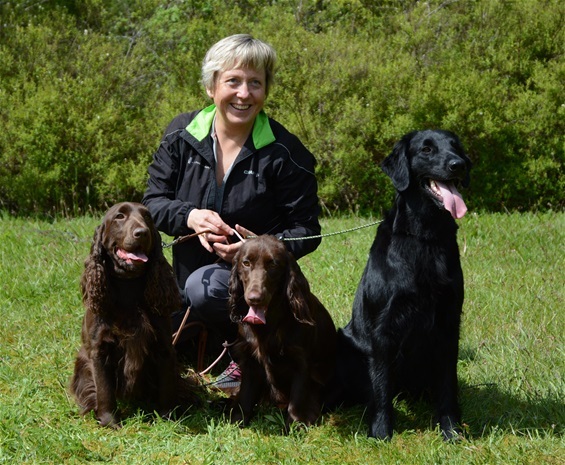 Juli is now a Norwegian Tracking Champion and Official approved tracking dog. Official tracking dog = at least 2x 2.price in tracking and approved tracking after live deer for 30minutes. On this live tracking she achieved 10 out of 10 points! Juli loves tracking. She is trained in normal tracking (scent : human) and in wild tracking (scent: blood). 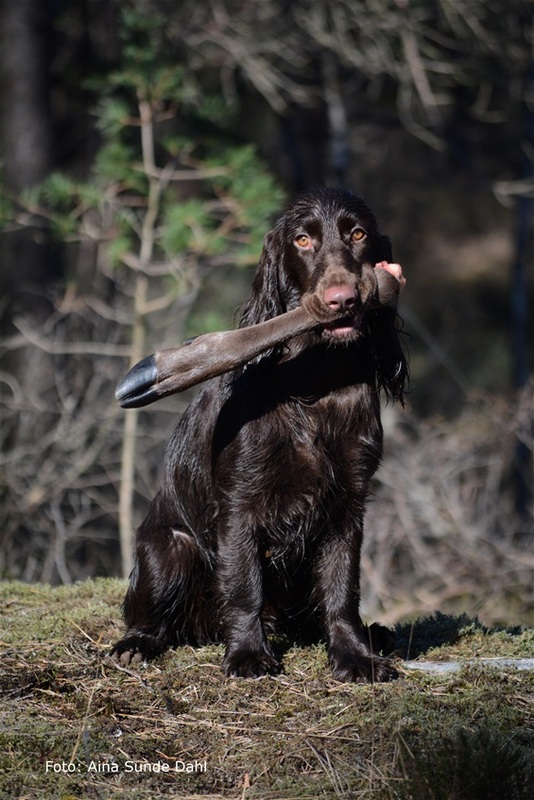 Every hunter (for deer and elk) in Norway needs to have an agreement to an official approved tracking dog which they have to call if they miss the shot deer. 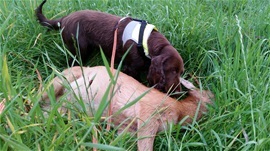 Those dogs may also search for deers wounded in car accidents. In the nordic countries you may compete in blood tracking which simulate a shot and wounded deer. We use several hours during the year in the woods for tracking. The norwegian wild track is at least 600m long and 12-24 hours old. We drip about 3dl blood along the track. 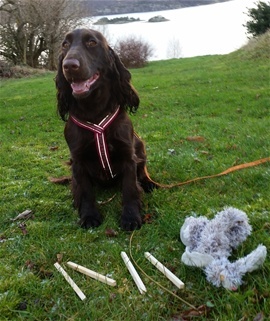 In December 2015 we tried normal tracking (scent: human) where she should find 4 pieces of wood and her toy in the end. She was so happy. So this was the start for us.